Tuesday was a rather rough day for me so perhaps I was a bit tense going into my appointment. When I walked into the room I was greeted by her puppy which was a HUGE win because I love dogs!!! After she pried me away from the little fluff ball we went over how I felt after the last appointment, did I notice any changes, etc. I may or may not have unloaded some extra emotional stuff during the first few minutes so I think I ended up with an extra 20 needles in me than normal. I’m now wondering if she was trying to paralyze my vocal cords (not sure if that’s possible but I assume it is) to get me to shut up. The above picture in this post is false. That woman is obviously under anesthesia if she is smiling like that during this process. If you have an extra emotional day, perhaps don’t share this with your practitioner. I’m almost positive if I had kept my big yapper shut I would have had 15 less needles in my back. It turns out you can’t hedge your bets with “more needles.” Let me explain…I am a very inquisitive person and kept asking Lauren what areas were helping with what things. One of the spots she was treating was for pent up stress. When I requested we throw another 10 in there, I was informed it doesn’t work that way. Apparently you can’t hedge your bets with acupuncture like you can with betting on every horse in the race to win…not that I’ve ever done that. Always go to the rest room before going in for your appointment. And also, do NOT drink a huge glass of water beforehand. If you choose to ignore this advice then you might, at one point, find yourself face down, alone in the room, sporting anywhere from 8-15 needles in your back/neck/legs, and being told to “breath into the soreness” for several minutes, all with a full bladder…this is not a highly desirable feeling…trust me. Once again I must say that so far I am very happy with the results we are starting to get and I still plan on going back once a week and then when my neck pain is minimal, just going every now and then for maintenance. I logged onto Medicinenet.com and found an article on the types of conditions acupuncture has been known to help with. For what conditions has acupuncture treatment been found helpful? The National Institutes of Health (NIH) Consensus Development Program was established in 1977 and is designed to assess health technology. The program organizes major conferences that produce consensus statements and technology assessment statements on controversial issues in medicine important to health care providers, patients, and the general public. The following statement is from the NIH Consensus Development Statement on Acupuncture on November 3-5, 1997. 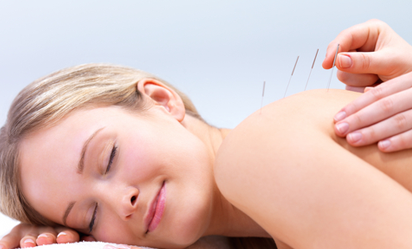 Acupuncture as a therapeutic intervention is widely practiced in the United States. There have been many studies of its potential usefulness. However, many of these studies provide equivocal results because of design, sample size, and other factors. The issue is further complicated by inherent difficulties in the use of appropriate controls, such as placebo and sham acupuncture groups. However, promising results have emerged, for example, efficacy of acupuncture in adult post-operative and chemotherapy nausea and vomiting and in post-operative dental pain. There are other situations such as addiction, stroke rehabilitation, headache, menstrual cramps, tennis elbow, fibromyalgia, myofascial pain, osteoarthritis, low back pain, carpal tunnel syndrome, and asthma where acupuncture may be useful as an adjunct treatment or an acceptable alternative or be included in a comprehensive management program. Findings from basic research have begun to elucidate the mechanisms of action of acupuncture, including the release of opioids and other peptides in the central nervous system and the periphery and changes in neuroendocrine function. Although much needs to be accomplished, the emergence of plausible mechanisms for the therapeutic effects of acupuncture is encouraging.